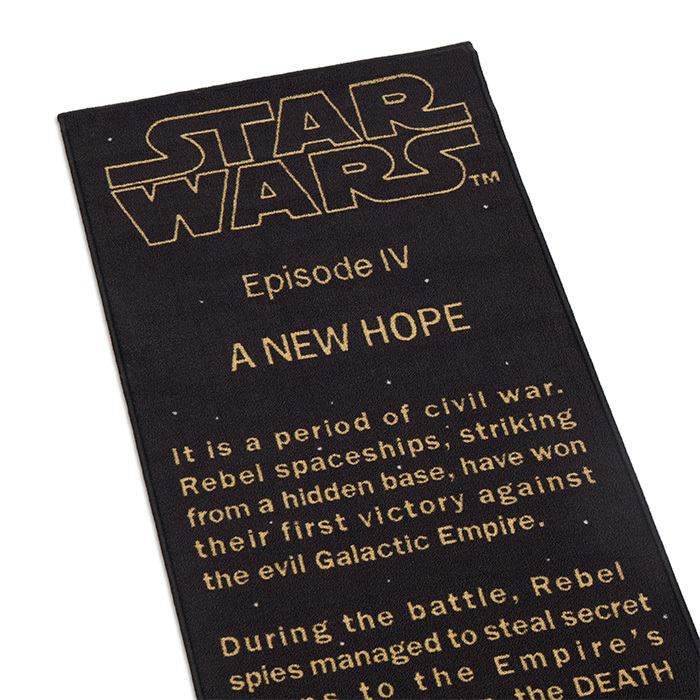 You Can Now Buy Star Wars IV's Opening Crawl As A Floor Runner | OhGizmo! IT IS A PERIOD OF CIVIL WAR…and so on. If you’re the type of person whose man-cave is already decked out wall-to-wall in sci-fi movie posters, and shelves storing your valued collectibles, than maybe it’s time to work on that bare wood floor. Think about all that valuable space that’s just sitting there, not yet geekified. 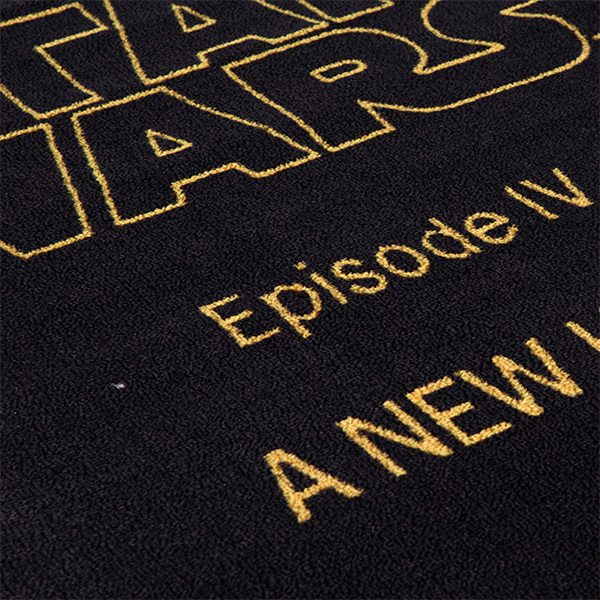 Well, you can kiss your worries away with the Star Wars: Title Crawl Floor Runner. 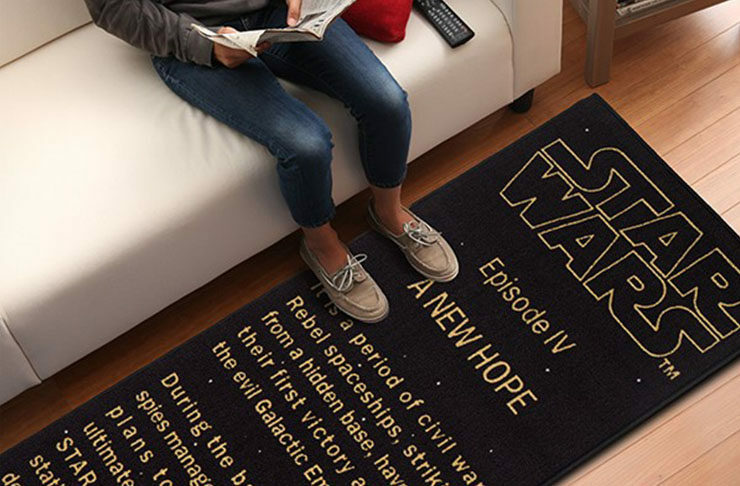 It’s like any other floor runner, but this one will let everyone know where you stand on the issue of “Who shot first?”. Its comes in at 26″ wide x 77″ long, is made from Polyester Pile. It’s available for $40 from ThinkGeek, and personally, I think it would look really cool in anyone’s collection of Star Wars memorabilia.